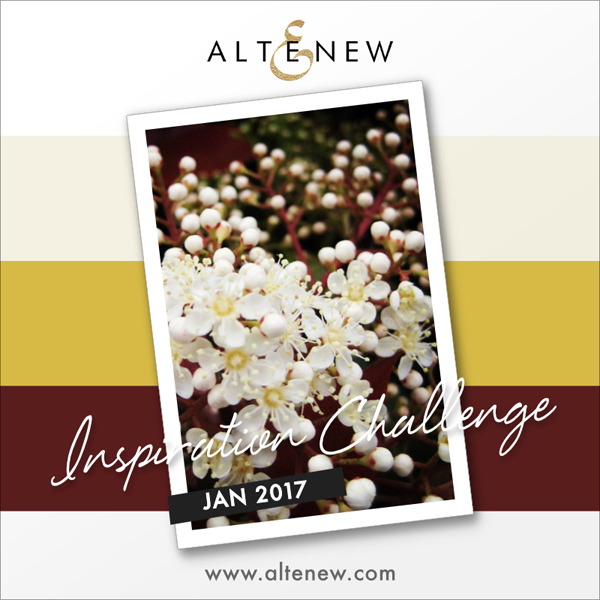 Hello crafty friends, it’s Yoonsun here hosting the January 2017 Inspiration Challenge!! Before I begin, Happy New Year dear friends! I hope you had a fantastic New Year’s Eve with amazing fireworks or a toast of champagne! 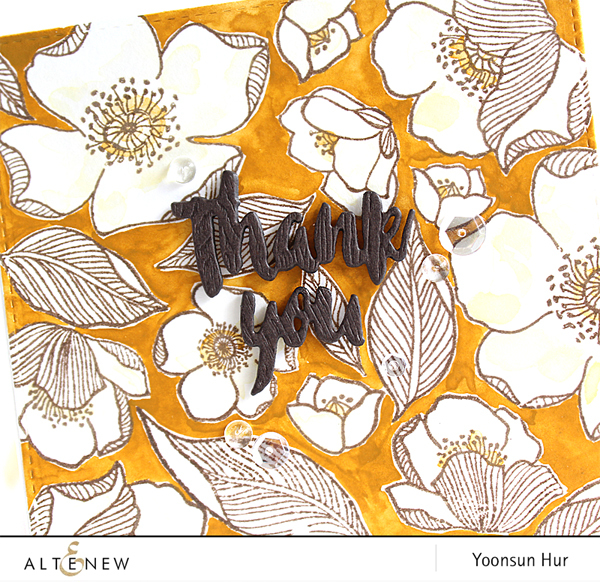 For my thank you card today, I used the Adore You Stamp Set as my main supply. To start, I randomly stamped the flowers and leaves from the Adore You Stamp Set on an A2 sized watercolor paper panel using VersaFine Vintage Sepia pigment ink. I then lightly touched the flowers with Antique Linen Distress ink & Gansai Tambi Watercolor No. 44 Light Brown. With Light Brown, I also colored the background. 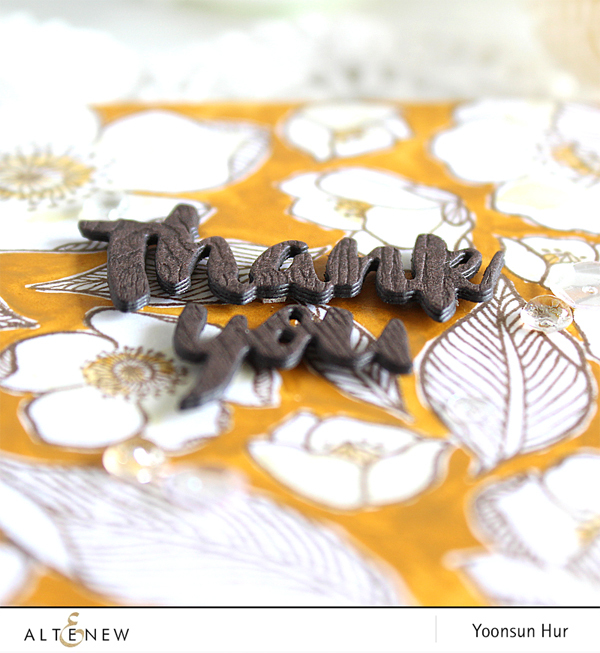 For the sentiment, I die cut the word “Thank you” from the Woodgrain Bark card stock using the Majestic Bloom Die Set 3 times, and then glued them together. Challenge ends on Tuesday, January 31st at 11:55 pm EST. After the challenge closes, FOUR WINNERS will be selected. Each will receive a $30 gift certificate to spend at www.altenew.com. Winners will be announced on Saturday, February 11th. Retro Simple Flowers – Video! 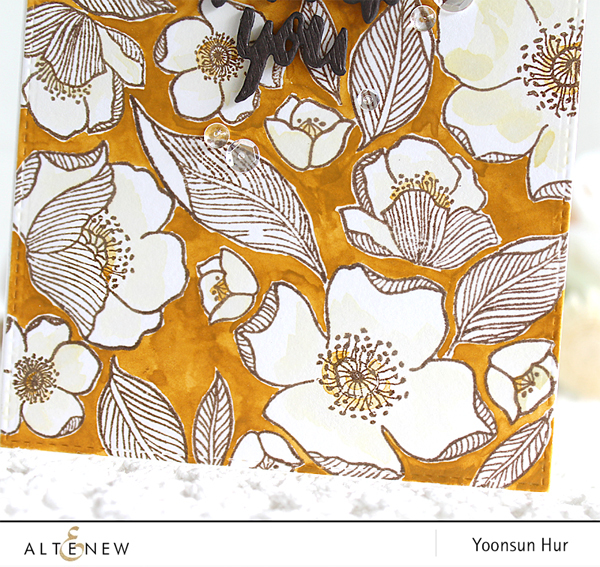 Beautifully inspired card, Yoonsun! 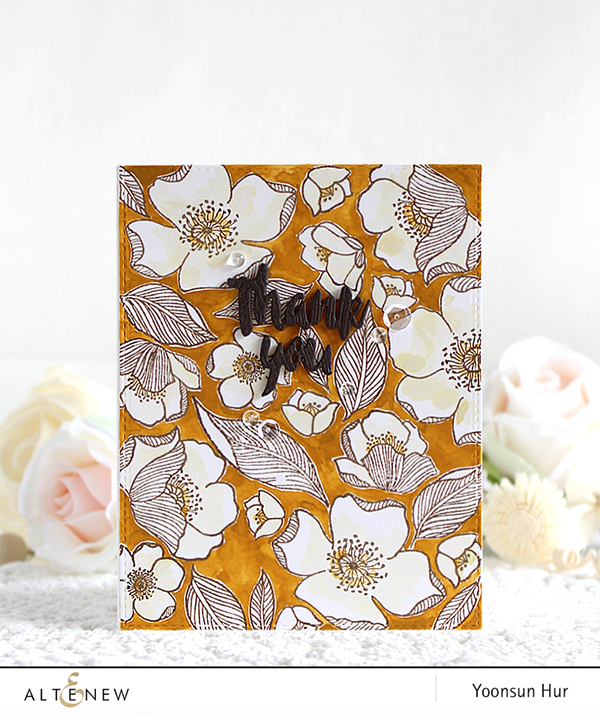 Love the use of golden yellow and use of stamps so much! So beautiful. You are just so talented! Yoonsun you may have all of my snow, if you’d like it!!! Gorgeous photo, and card … I’m certainly inspired – and thinking SPRING! Beautiful! Just the cards that inspire my desire! LOL.